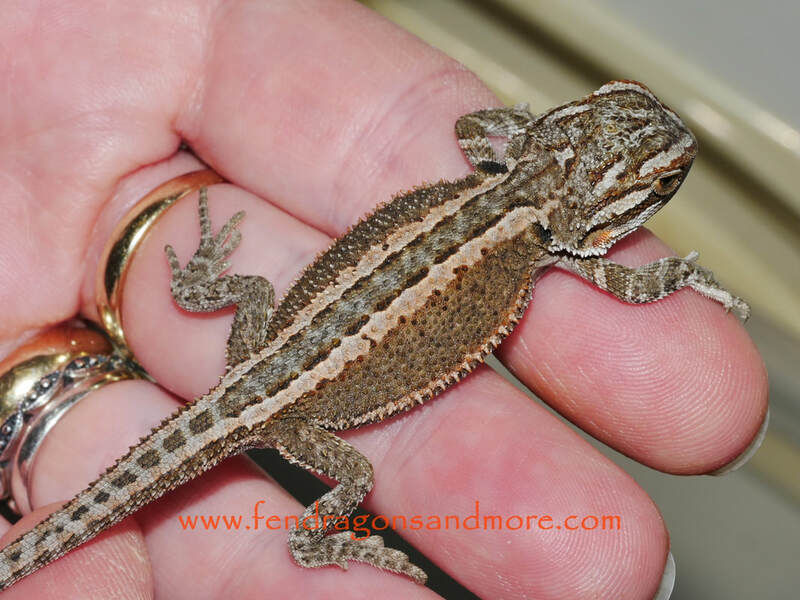 Based in March, Cambridgeshire, I am a hobbyist / breeder of high end Bearded Dragon morphs. 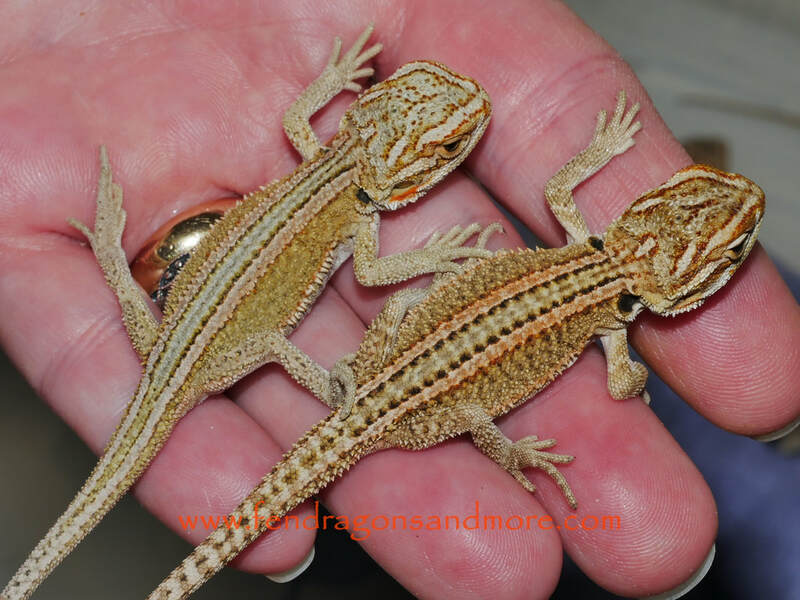 Using Dragons sourced from across the UK and Europe, as well as my own home bred hold backs, my aim is to produce the best quality baby Dragons. 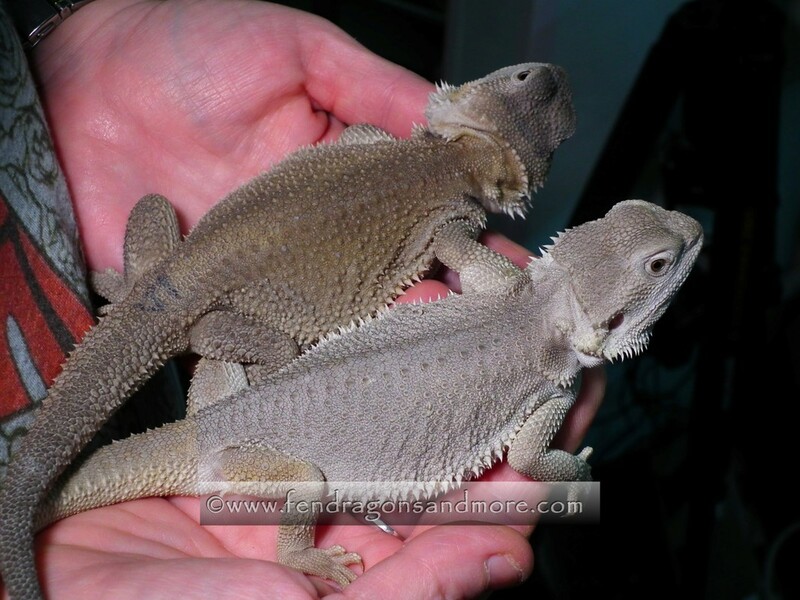 I also have a small collection of other reptiles, some of which I also breed. 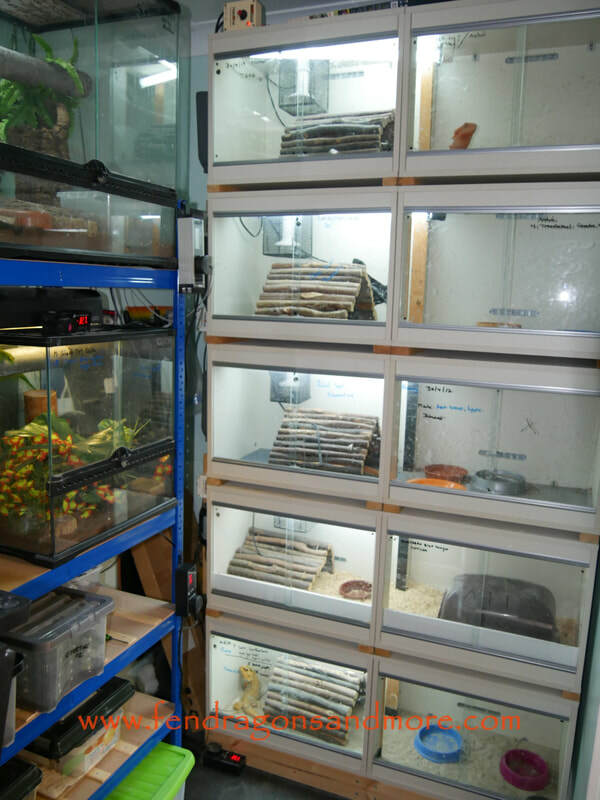 All my reptiles live in a secure, purpose built, fully insulated and temperature controlled room. 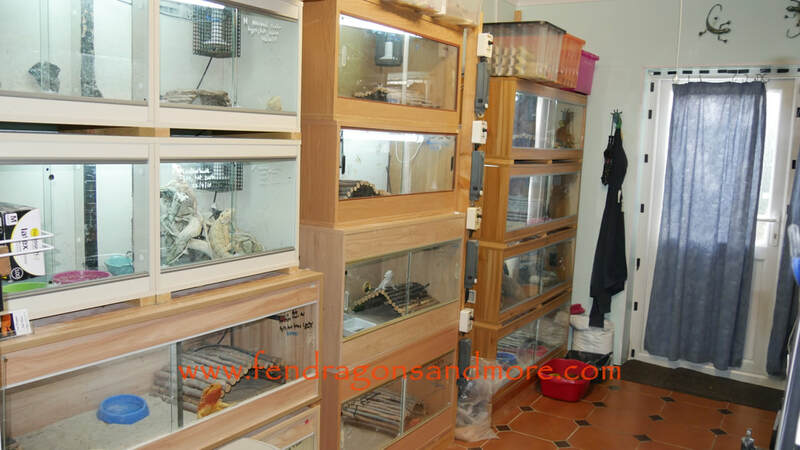 My Dragons are all handled every day, which helps keeps them active, alert and full of character. 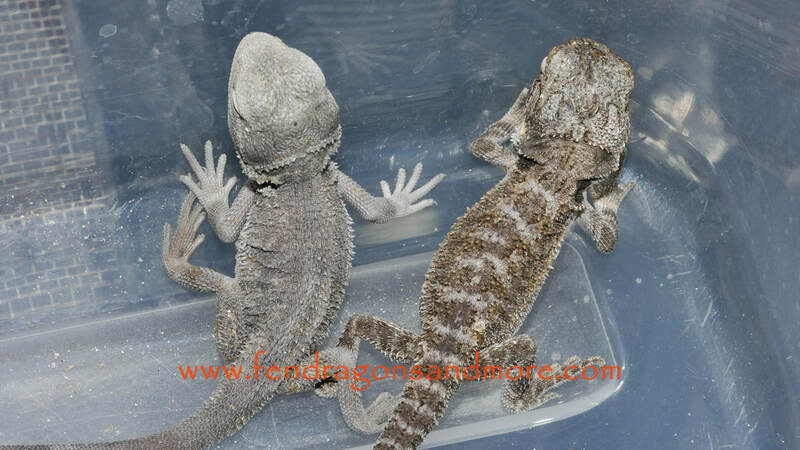 My female Dragons live happily together in small groups, usually pairs, but the males are kept on their own (out of site of the females!). 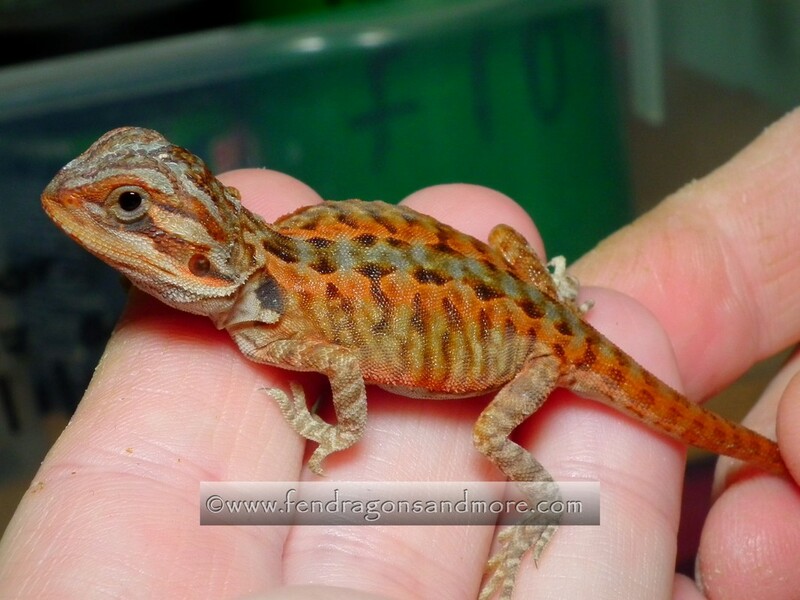 Food for the Dragons consists of fresh vegetables daily, as well as live food that includes Crickets, Mealworms, supplemented with Dubia and Turkistan Roaches from my own breeding colonies. 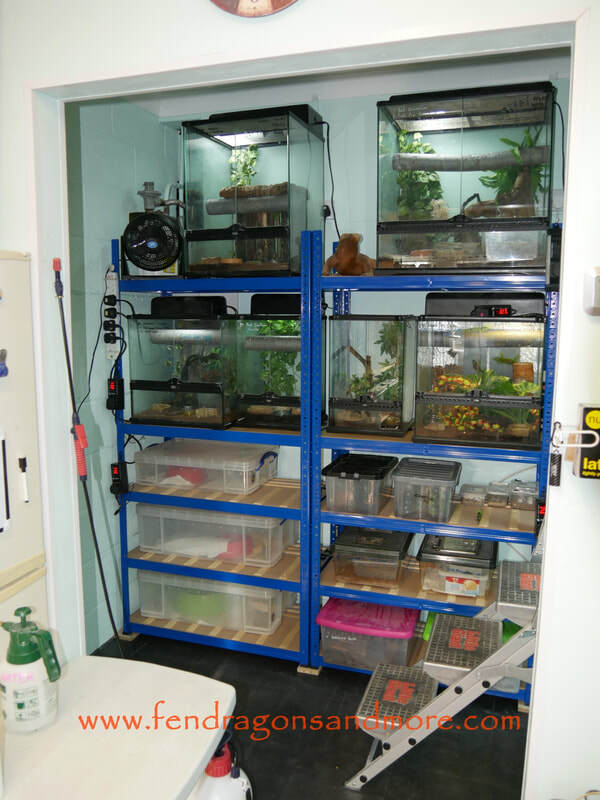 ​As breeders we have a responsibility to be aware of the impact that long term captive breeding is having. Changes to the genetic characteristics of an animal affect not just their physical appearance, but also their natural and emotional behaviours (this is a proven phenotypical change sometimes known as "unintentional selection", and often referred to as "nature versus nurture"). 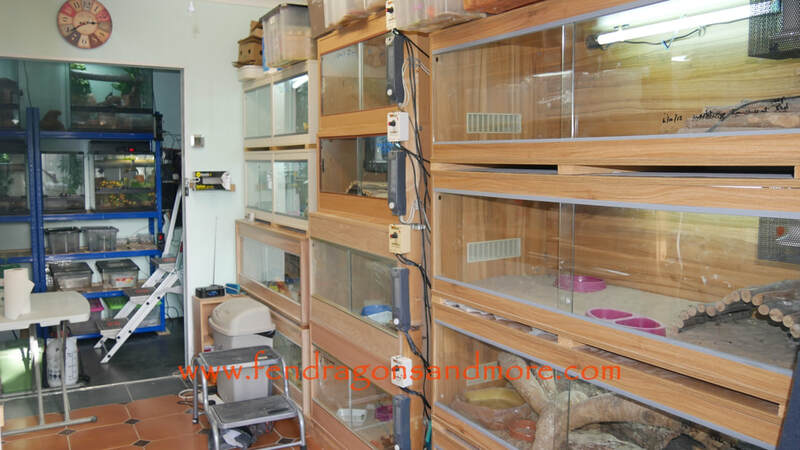 Some of my Bearded Dragons are housed in environments and habitats that differ from what is considered the accepted norm by some owners. 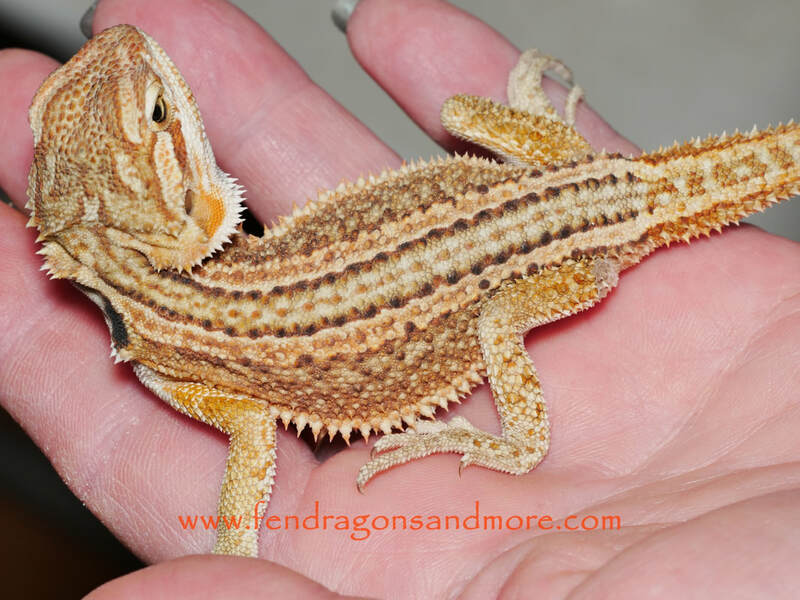 As a responsible breeder, this is deliberate and is to better understand the behavioural changes that are taking place, and is continually monitored and adapted to ensure the safety and well being of my dragons. This works for me and all my dragons are content, showing no signs of stress, however I cannot guarantee that similar arrangements will work for others. Ultimately it is the responsibility of an owner to ensure that ANY animal in their care is kept in a safe, secure and suitable environment. 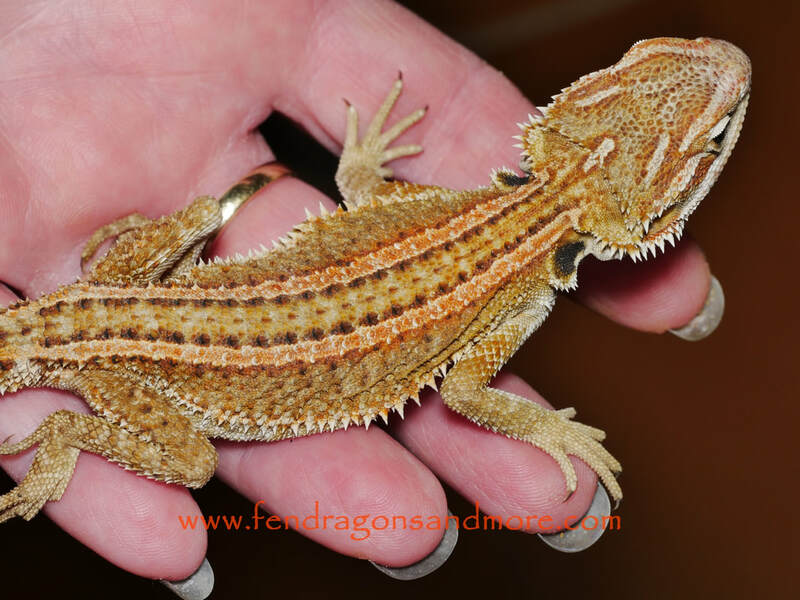 My collection of Bearded Dragons have been selected from breeders across Europe, together with hold backs from my own projects. 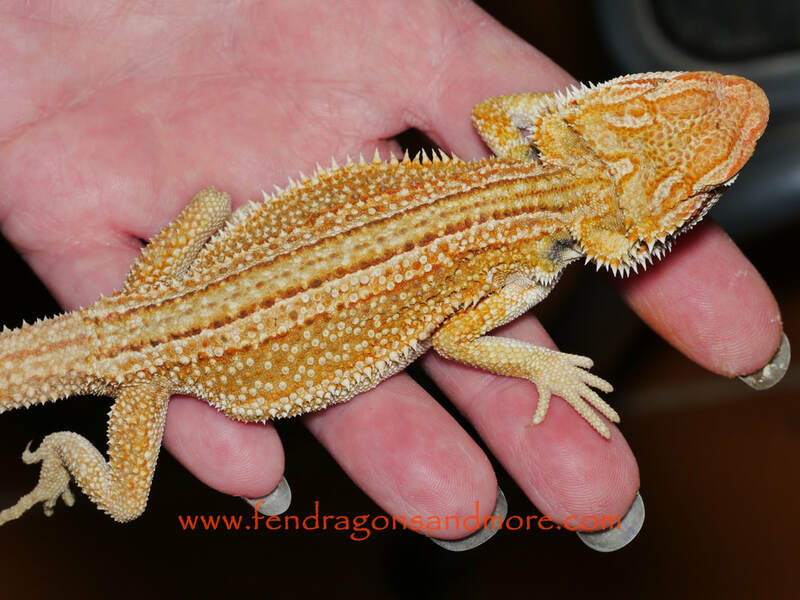 Red / citrus hypo het translucent normal scale and leatherbacks, displaying the clear nail hypomelanistic trait. 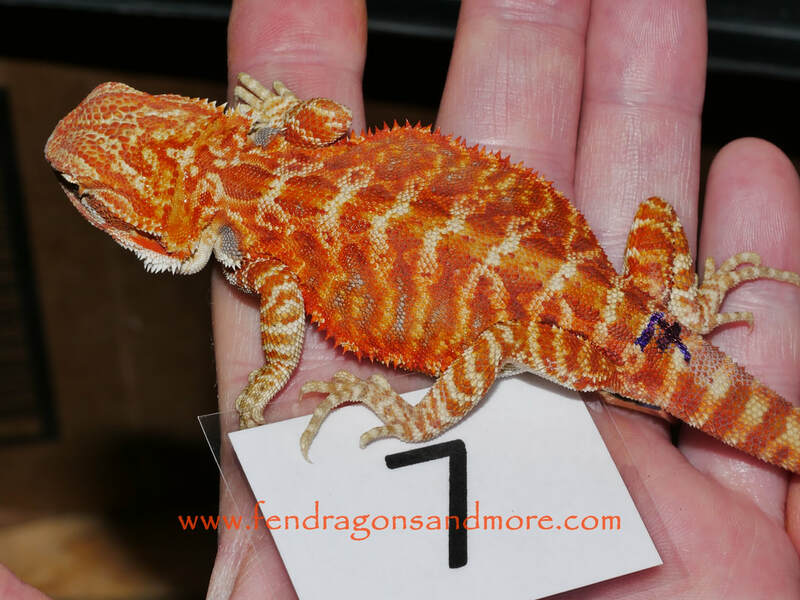 Red/ citrus hypo visual translucent normal scale and leatherbacks, displaying both the clear nail hypomelanistic trait and the all black eye trait for translucence. I also have some more unusual morphs including zeros, witbits, genetic stripes and dunners that are gradually being added to my existing bloodlines. 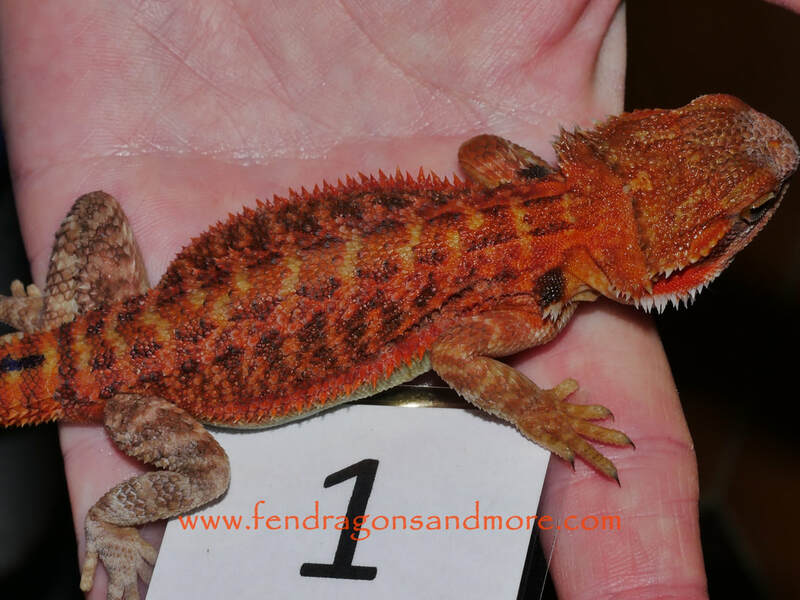 During 2013 I successfully hatched my first red / citrus hypo het translucent and visual translucent silkbacks, showing the clear nail and all black eye traits. 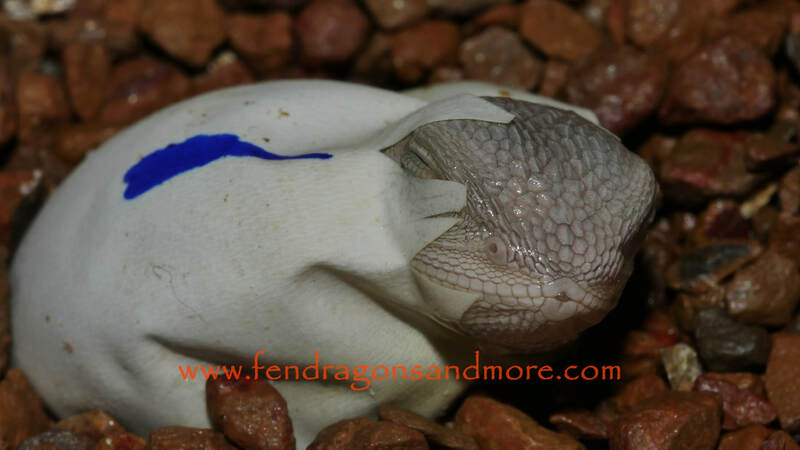 These unusual and rare morphs require a higher level of care and attention than normal scale or leatherbacks, and are only available in very limited numbers. 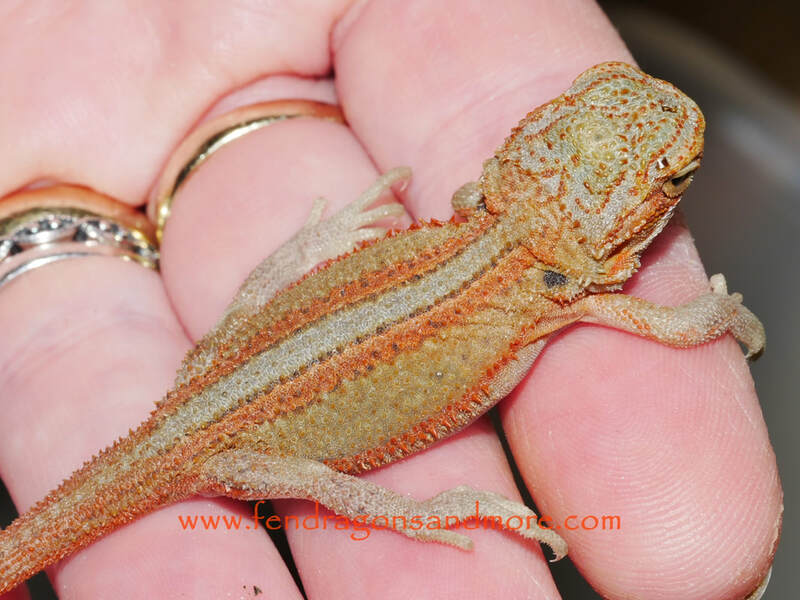 Our first clutch of Genetic Stripe X Dunners are shedding out better and better. 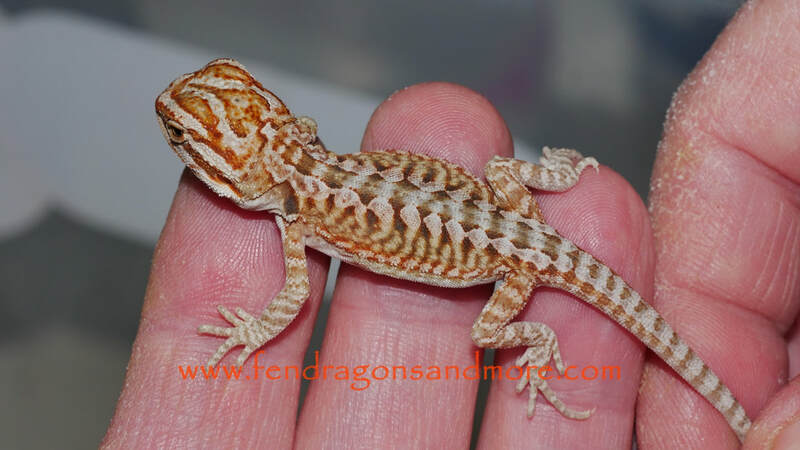 Some of these are also hypo translucent (clear nails, black eyes) and should be available in a few weeks. 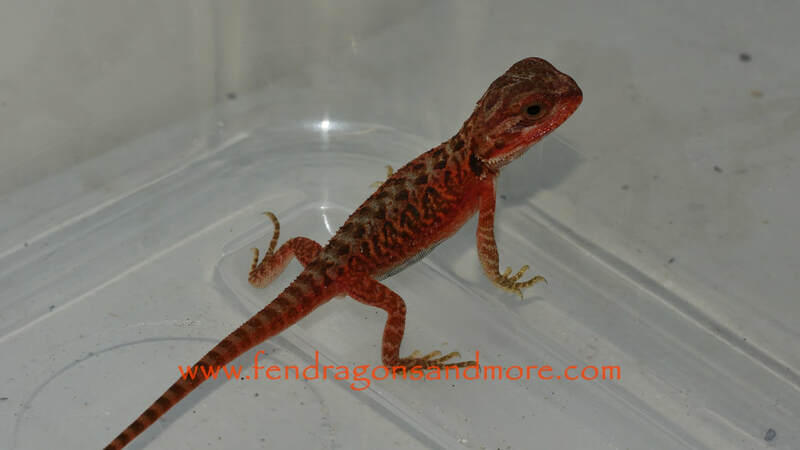 Latest clutch of reds now available for sale. 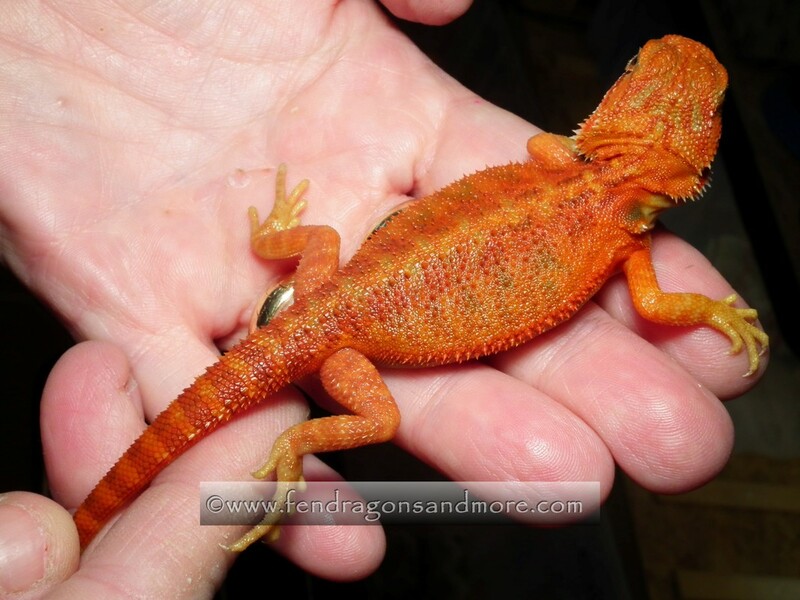 Father is Oscar, a fire tiger hypo het translucent normal scale, mother is Scarlett, a high red het hypo translucent leatherback. 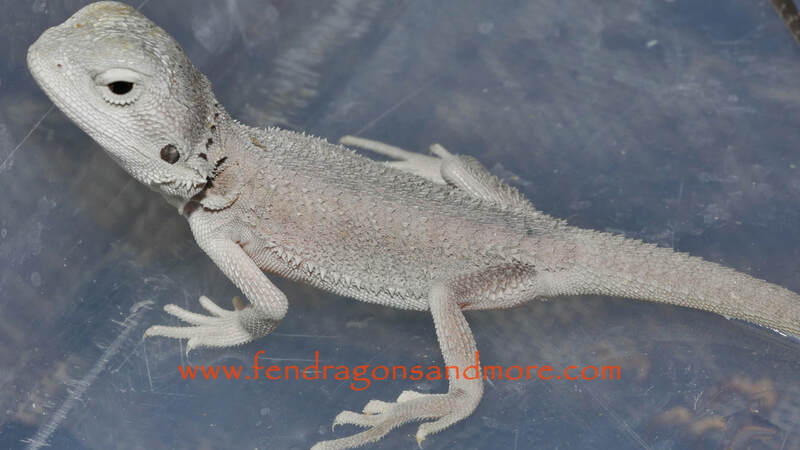 See 'DRAGONS FOR SALE' page for details. 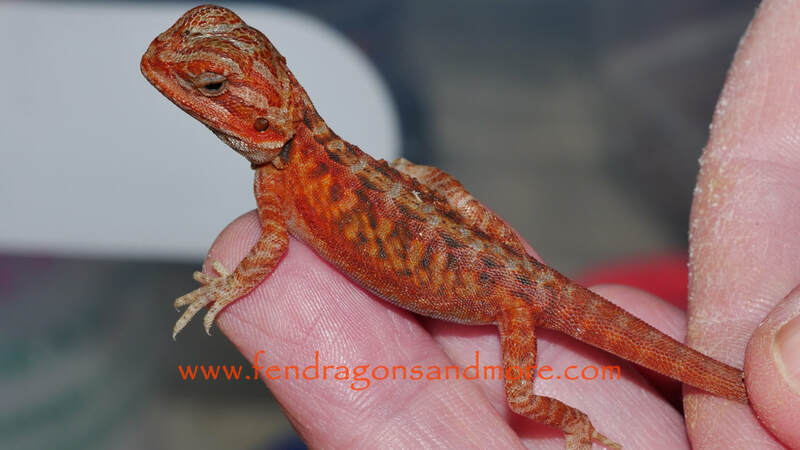 Another new bloodline we are developing alongside our Zeros, and available from early 2019, these guys are Genetic Stripe X Dunners, with some also Hypo Translucent (clear nail, black eyes). Another fantastic weekend at Doncaster IHS show over. Great to meet and chat so many enthusiastic people, and as a bonus Scarlett and Oscar's latest clutch decided it was the perfect weekend for them to start hatching. This pairs babies are always something special. 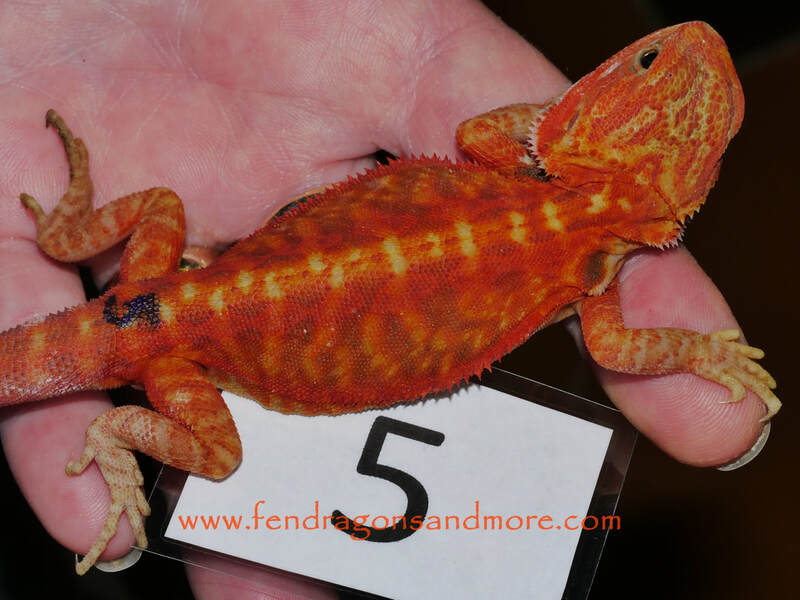 Please note, due to some changes over the last 12 months we are currently updating this site with new photographs of our current reptile collection, and will also be including pictures of all our reptiles for sale.